With a background in corporate coaching and development; Sue has been an established clinical therapist for nearly 6 years and has seen over 1000 clients. Developing strong links with GP’s and schools, Sue has experience with a vast range of personal challenges and symptoms that people have been struggling with, sometimes for years. Through her work with schools, Sue has built a range of tools and techniques specifically to support younger clients from age 6 upwards. These techniques along with a natural affinity, connection and passion for supporting young people, has meant many parents now go to Sue to help improve the welfare of their children. Sue is passionate about focussing on positive outcomes for all of her clients, even within the most challenging of circumstances they may face. See Sue’s LinkedIn profile below. Janice began working with children with disabilities in 1996 as a short break carer in her own home for children with conditions such as ADHD, Down Syndrome, Epilepsy, Cerebral Palsy, Micro Cephalous, Scoliosis, Global Developmental Delay, Autism, Learning Disability severe and mild, WAGR Syndrome, Gastroschisis, Short Bowel Syndrome, Attachment Disorder and Tourettes. As part of her role, Janice worked closely with the birth parents to offer consistent care to their children, signposting them to further support and offering advice when requested. She continues in this role today. Janice worked as a learning and development specialist for Dudley MBC from 2004 to 2016, training health and social care professionals who work with children and adults assessing and verifying accredited qualifications. She authored distance learning books which included understanding child development and promoting positive outcomes for children. Janice has a MA in specialist education in Autism and her main line of work is consultancy and training in autism spectrum conditions. She has also trained and advised on safeguarding vulnerable adults and children, health and safety, preventing radicalisation, mental health, food safety, effective communication, Positive Behaviour Support, record and report writing, and the Mental Capacity Act. In addition, Janice is currently working as a specialist mentor for students at the University of Birmingham who require specialist academic support due to conditions such as mental ill health or Aspergers. She also supports foster carers and families who are caring for children who are on the autism spectrum, have ADHD, conduct disorder, ODD, OCD, sensory processing difficulties and other learning difficulties and disabilities. Her role involves advising on parenting skills and undertaking assessments of the child’s needs within the home. Janice works in schools nationally, training and offering advice to SENCOs and teachers. She also liaises with schools to advise on consistency of support with foster placements. Janice is passionate about helping all people to understand the world through the eyes of an adult or child with autism spectrum conditions and helping those who are marginalised or vulnerable. During her years of working with children and adults on the spectrum she has developed a number of strategies to support them to control their anxieties and manage the stress of being autistic in a neurotypical world. We have all experienced difficult times in our lives. I trained to become a counsellor because I have struggled through bad times myself, and I have learned valuable life lessons as a result. I would like to help you on your journey because I understand the value of support during these difficult periods. As a highly-trained specialist, I am dedicated to helping you overcome your alcohol issue. Previously I have worked as an Alcohol Counsellor for WCAT (Worcs Community Alcohol Team) and as part of the The Breakthrough Team (Home Group, Stonham). I have now been running my own service for 3 years supporting individuals and their families overcome alcohol dependency. 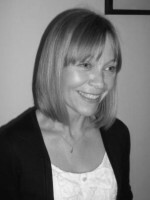 June has over 26 years experience in Social Work having qualified in 1987, specialising in children and families work. In 2000 June achieved a Masters in Social Work Management. She has subsequently worked in social services department throughout the UK specialising in Child Protection Assessments at both practitioner and managerial level. June has extensive experience of preparing and presenting reports and giving evidence in the Magistrates, County and High Courts. Angela is an experienced Cognitive Behavioural Psychotherapist (BABCP Accredited) and EMDR Therapist (Eye Movement Desensitisation and Reprocessing), with a career of over twelve years in counselling and therapy. She is also registered with UKCP as a Psychotherapeutic Counsellor, her psychotherapeutic training being in Transactional Analysis. Angela is passionate about supporting her clients to address their present difficulties and improve their skills and resilience so that therapy has a long-lasting effect. As well as using EMDR and CBT, she incorporates Transactional Analysis, Mindfulness, Acceptance and Commitment Therapy (ACT) and BSP (Brainspotting) into a therapeutic plan that is tailored to the client’s individual needs.